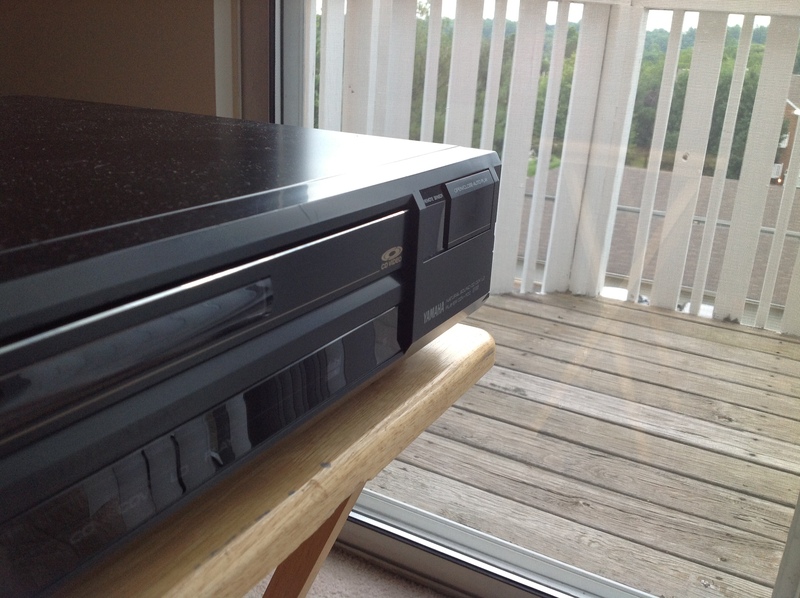 This is my Yamaha CDV-1100 LaserDisc player that I bought in May at Time Traveler, a record store on State Road in Cuyahoga Falls. 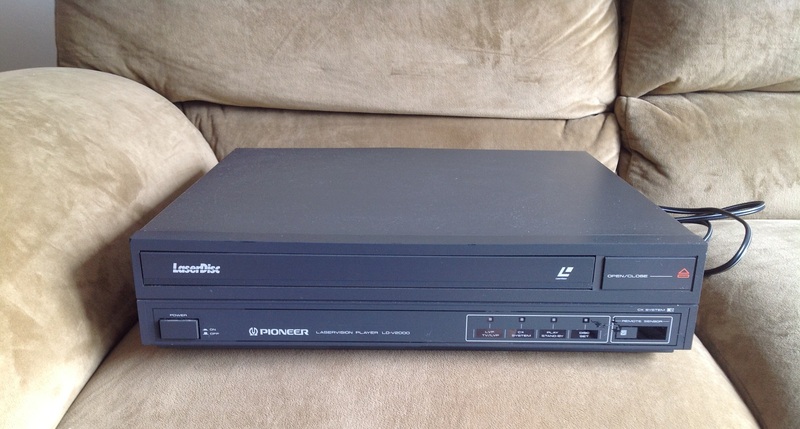 At the end of my post on the Pioneer LD-V2000 I said that I was looking for another LaserDisc player that had digital audio capability if the price was right. 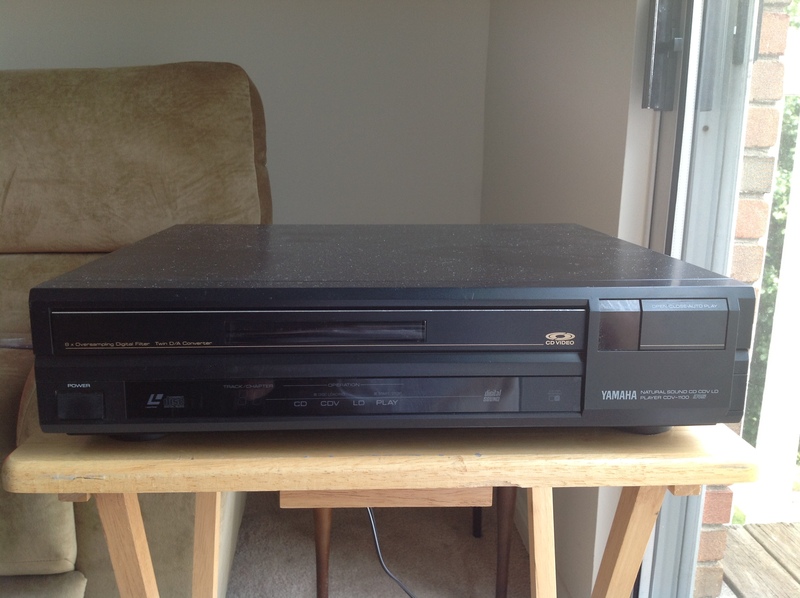 At Time Traveler I came upon two LaserDisc players: a Pioneer CLD-S201 priced at $40 and this Yamaha CDV-1100 priced at $20. 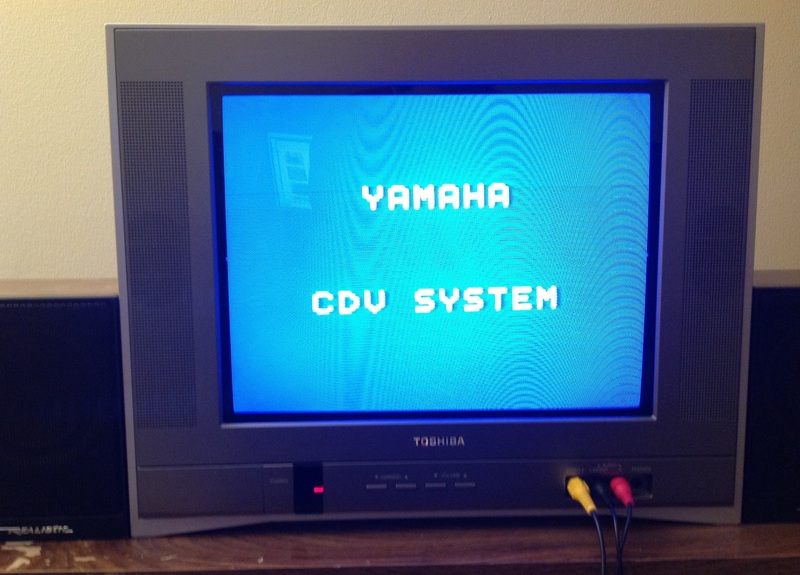 The Pioneer had it’s remote while the Yamaha didn’t. 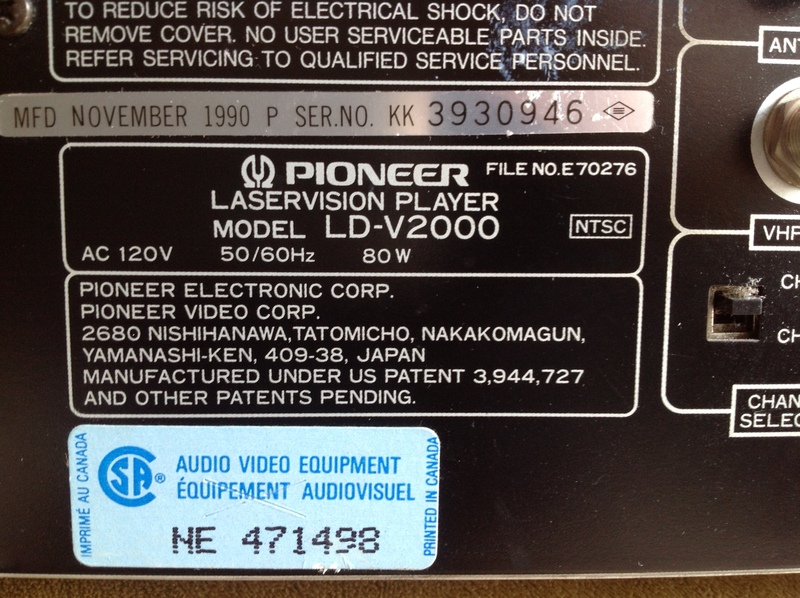 The LaserDisc conventional wisdom says to always go with the Pioneer. 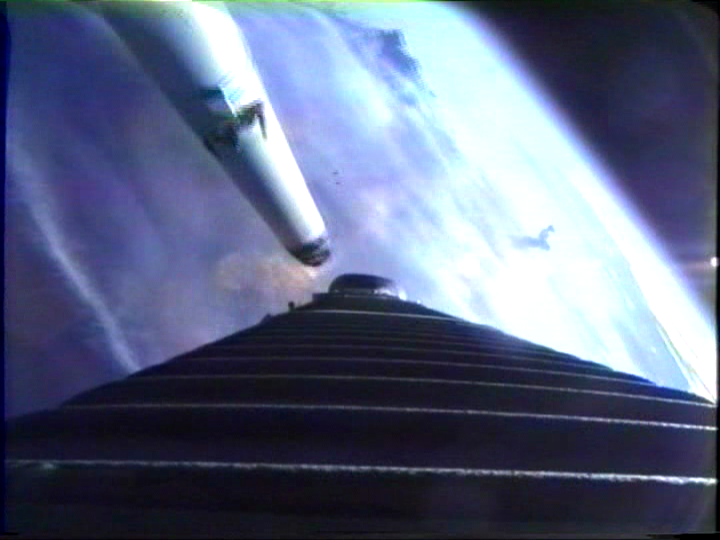 However, the CLD-S201 just looks boring to me. 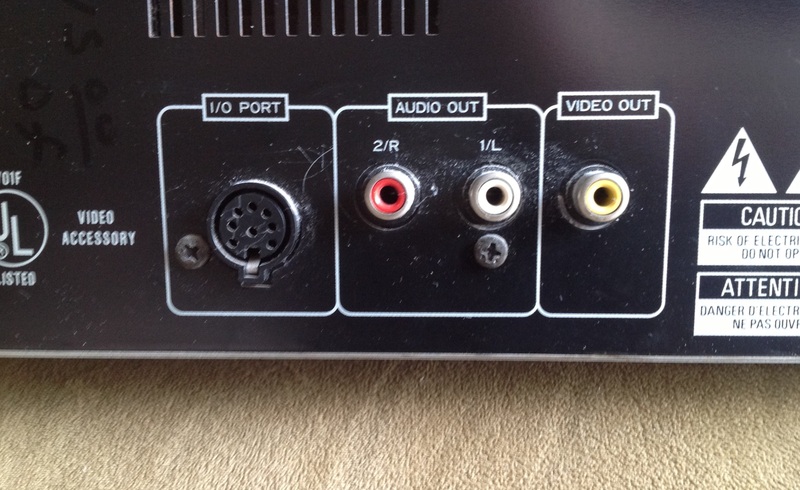 It has that boring look that so many pieces of early 90s audio and video equipment have. One of the parts of this hobby of collecting obsolete electronics that I adore is that you can collect based on “coolness” rather than specs or features. 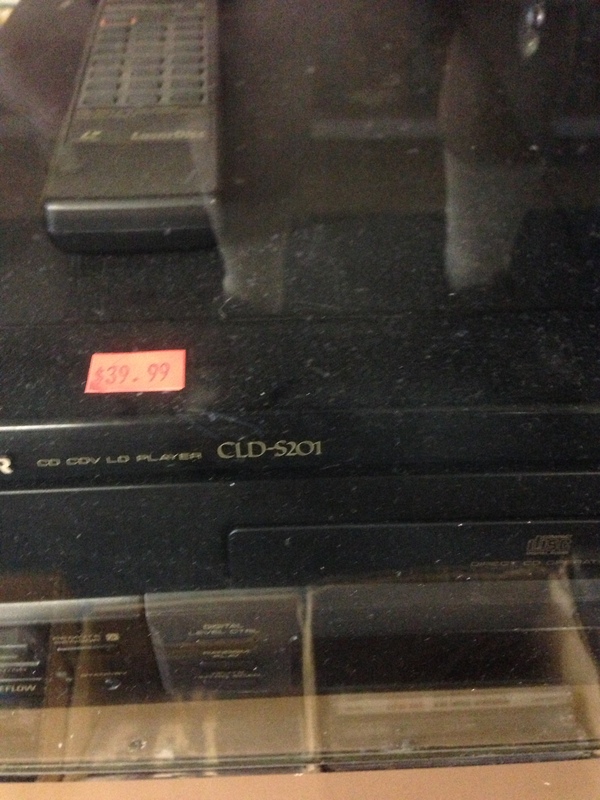 In 1992, the CLD-S201 would have been the right thing to buy. But I’m not in 1992. 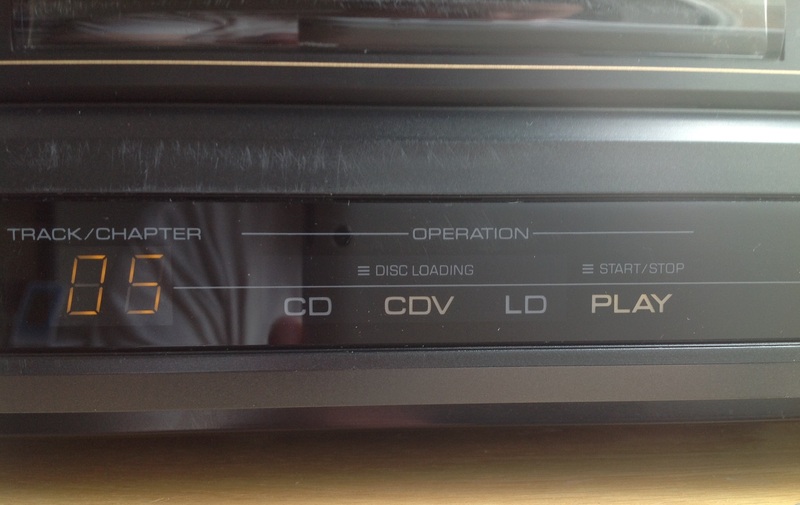 The Yamaha CDV-1100, on the other hand has a bit more late-80s styling. 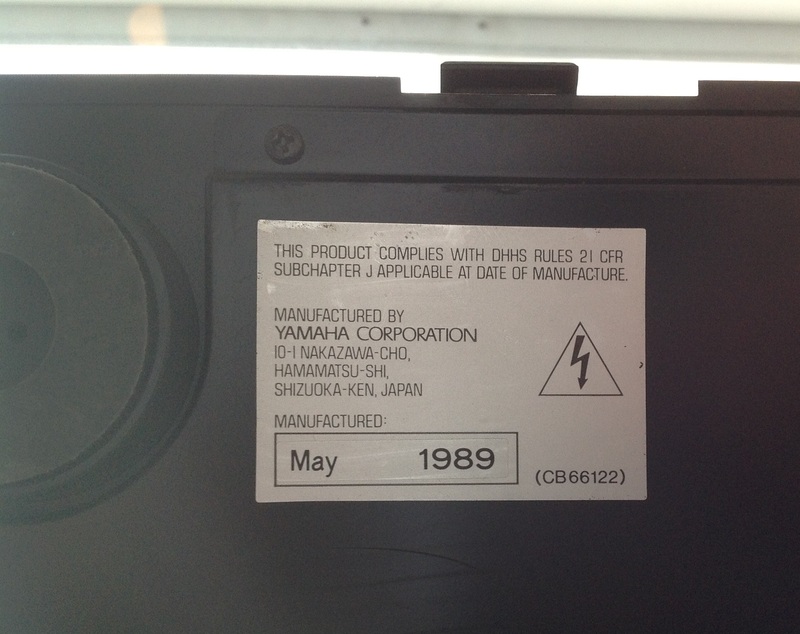 I have an affinity for Yamaha stuff, especially 1980s Yamaha stuff, ever since I found a Yamaha DSP-1 and it’s associated 4-channel power amplifier at the old Abbey Ann’s #1 years and years ago. 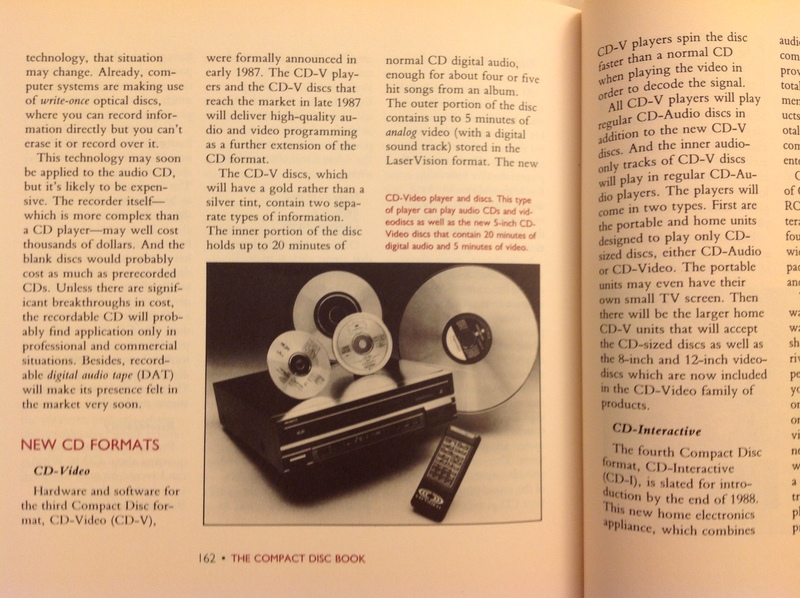 But the main thing that attracted me to the CDV-1100 was that wonderful CD-Video logo on the front of the player and how it brought back fond memories of The Compact Disc Book. 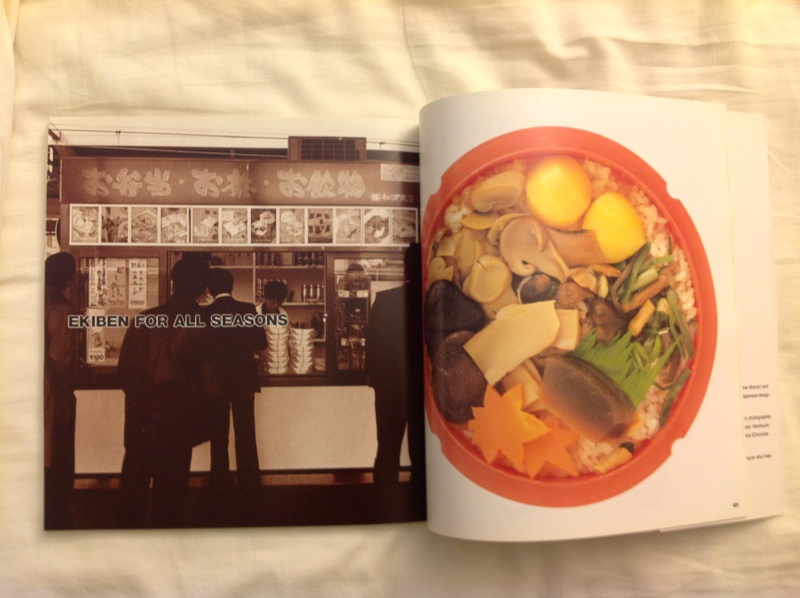 When I was a child my mother instilled in me a love of books and public libraries. She would visit Taylor Memorial Public Library (now Cuyahoga Falls Public Library) on a regular basis. Sometimes I would go with her and other times I would ask her to find me books on a specific subject. 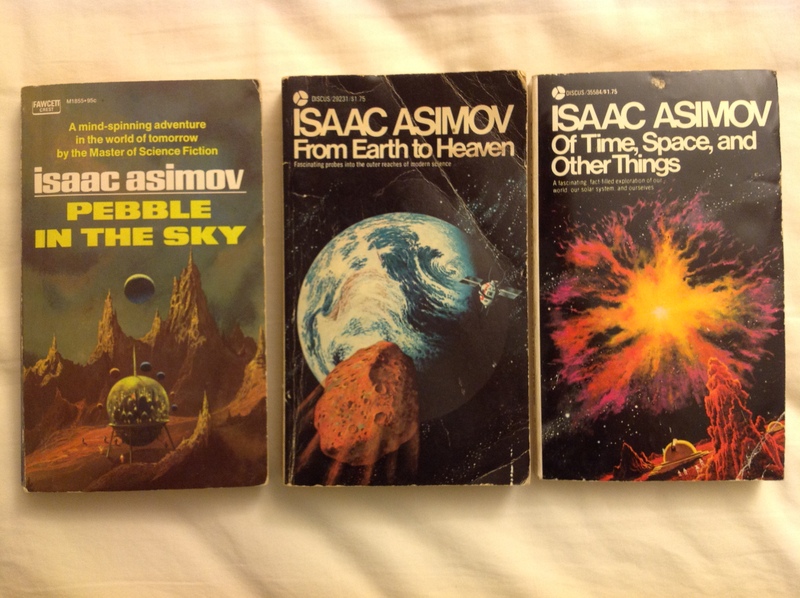 There were certain books I was fascinated with that I would take out over and over. 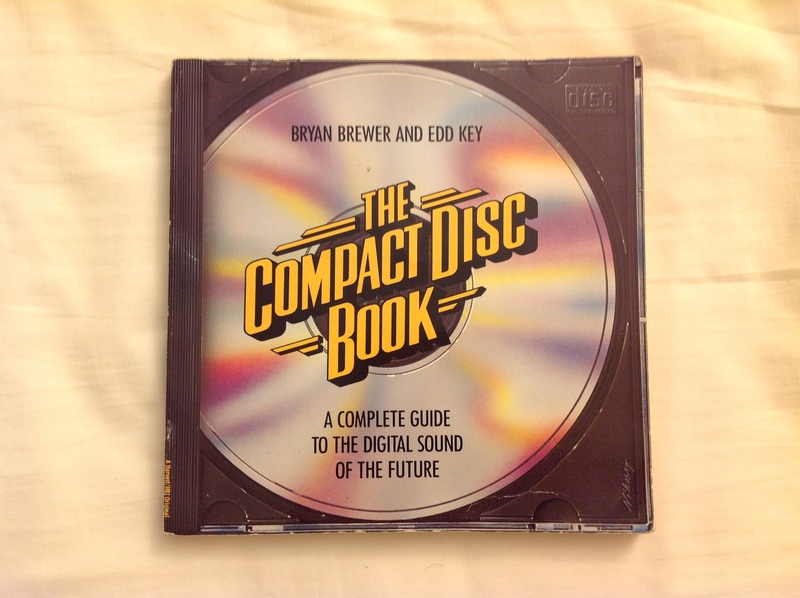 One of these books was a 1987 introduction to the CD called The Compact Disc Book by Bryan Brewer and Edd Key (how can you forget a book by a guy named Edd?). 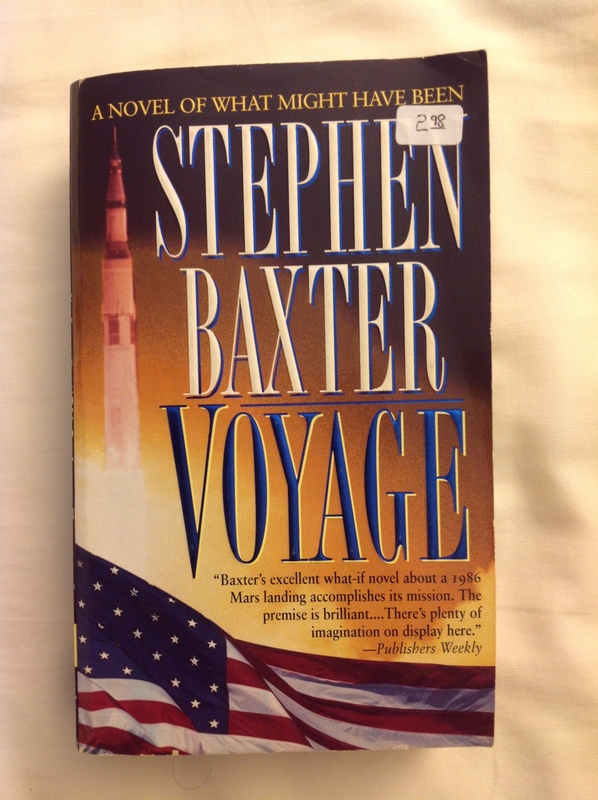 Today when you Google The Compact Disc Book what you find is a post on the site Awful Library Books where librarians make fun of obsolete, out-of-date books that get culled from library collections. 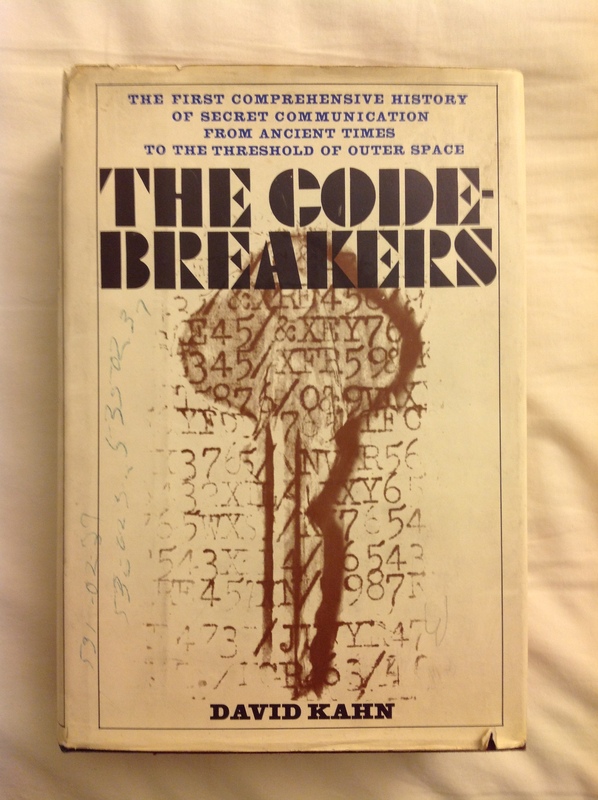 Much of the book was right on. 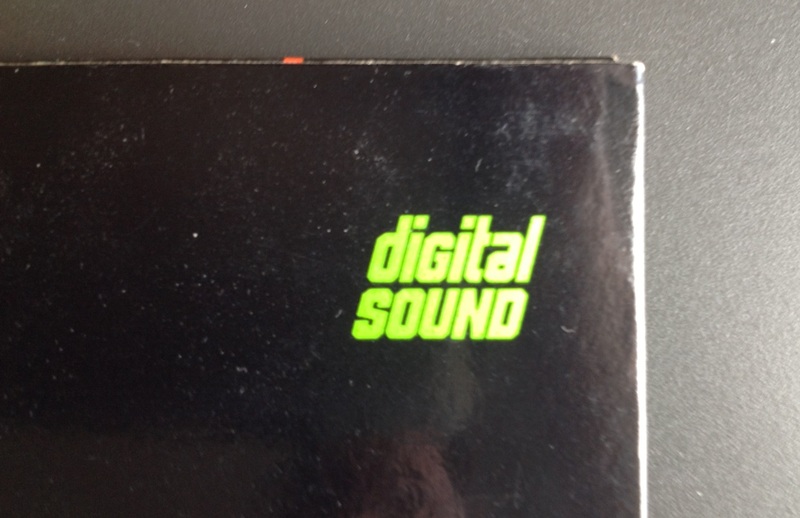 The parts about how digital audio worked, how the data on a CD is encoded in pits and lands, and how CDs are manufactured are still relevant today. 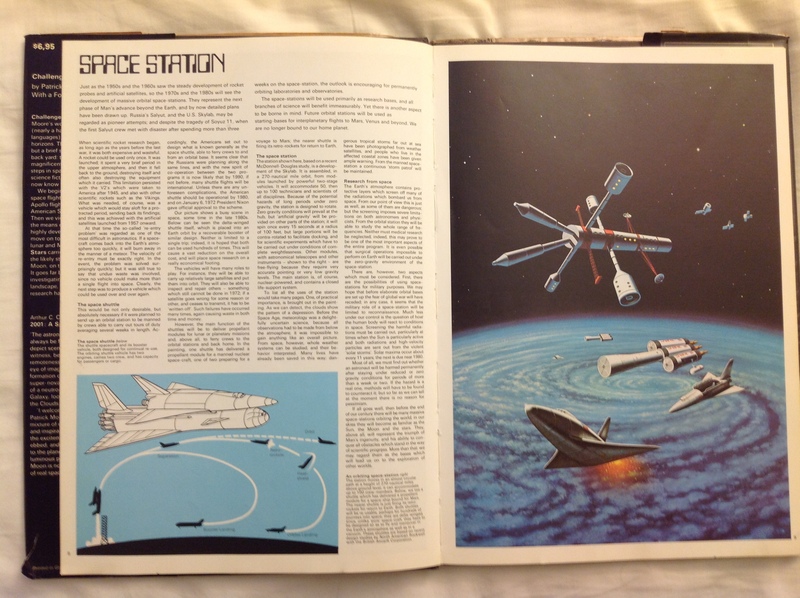 However, the real fun part of books like this is the vision of the future they articulate. 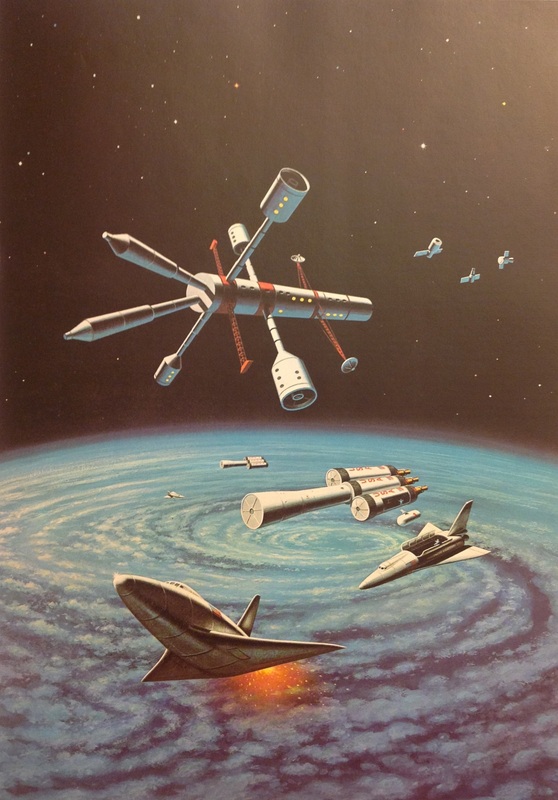 Even as I was reading the book in the mid-1990s the vision of the future the authors envisioned had not quite come to pass. 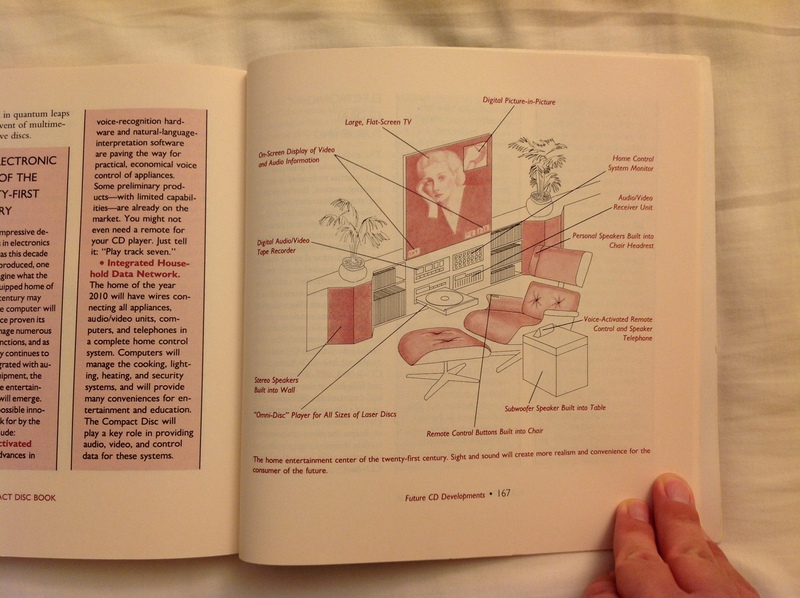 The pages about how CD-ROM was going to revolutionize the world (complete with a priceless picture of a giant external CD-ROM drive attached to an IBM PC AT) were on the mark but the sections promising that CD-Interactive (CD-I) and a mysterious format I had not heard of called CD-V were going to revolutionize the living room clearly had not happened. 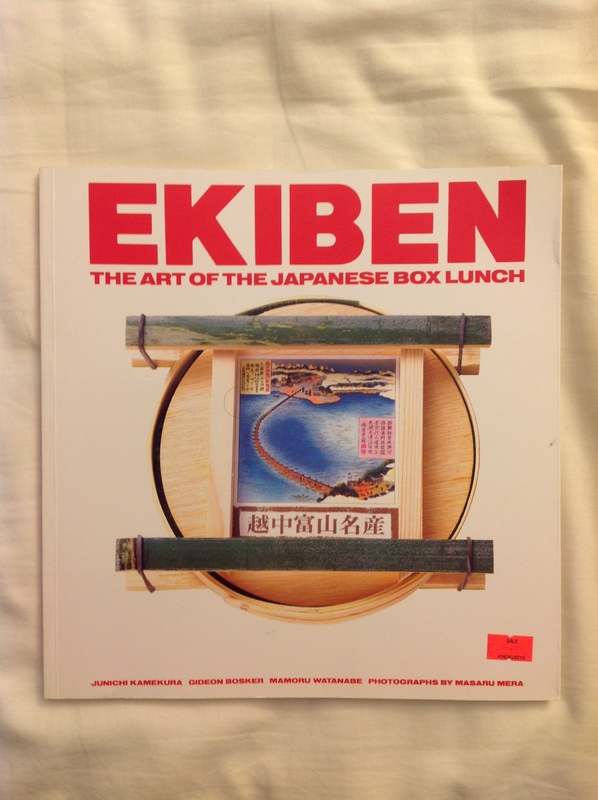 The reason I’m so into LaserDisc today? 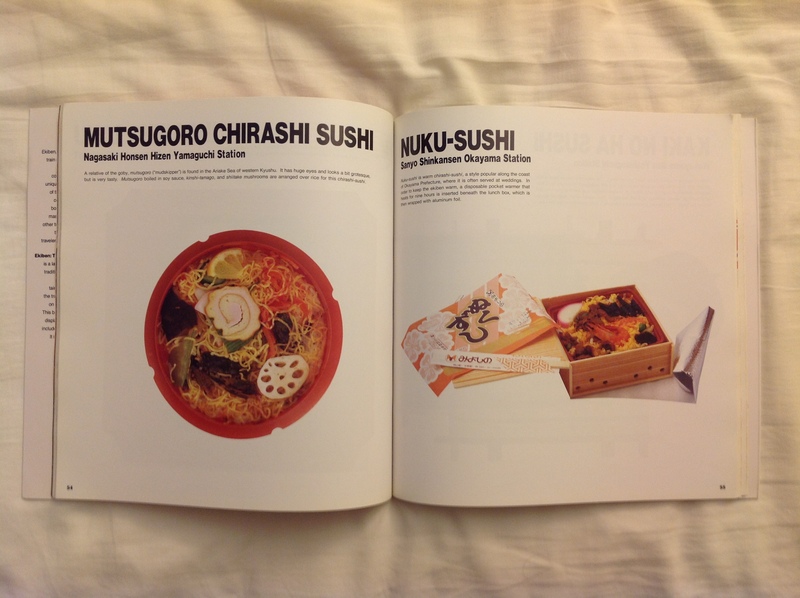 That page, right there. 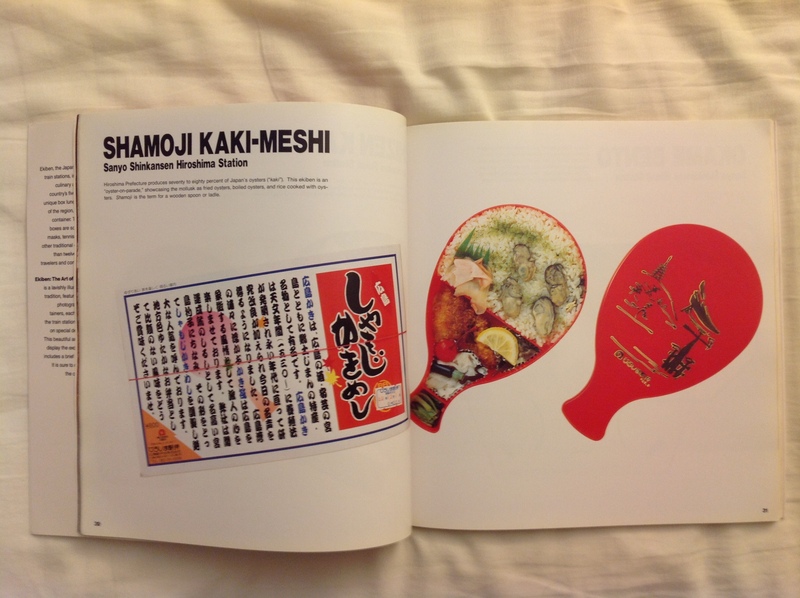 The idea that the ubiquitous CD was actually part of a family of disc standards that had been patched together fascinated me. 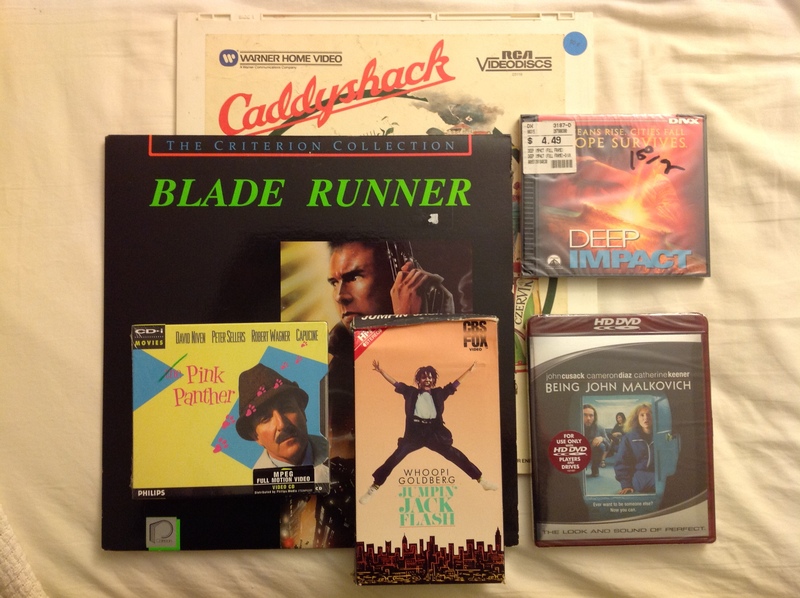 I was aware that 12in LaserDiscs had movies on them but I had never seen an 8in LaserDisc or 5.25in CD-Video disc. 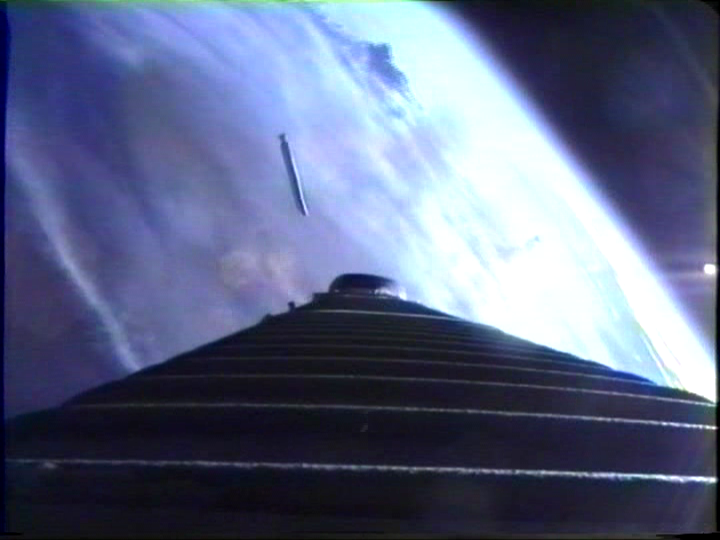 I was especially taken with the idea that somewhere out there were gold CDs with video on them. This Vine video I did with the Yamaha CDV-1100 and the various disc sizes is my tribute to that photo in The Compact Disc Book. 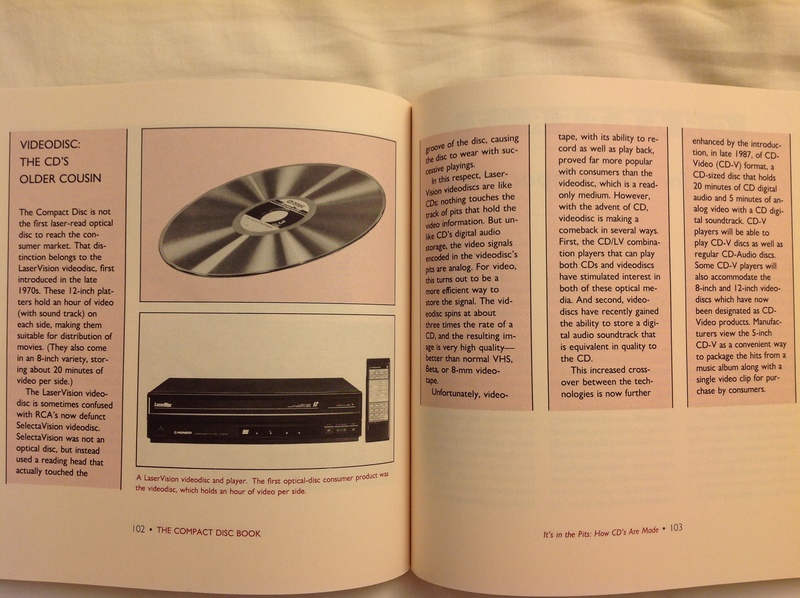 Earlier in the book there’s a section that explains the LaserDisc format and it’s relationship with CD Audio and CD Video. 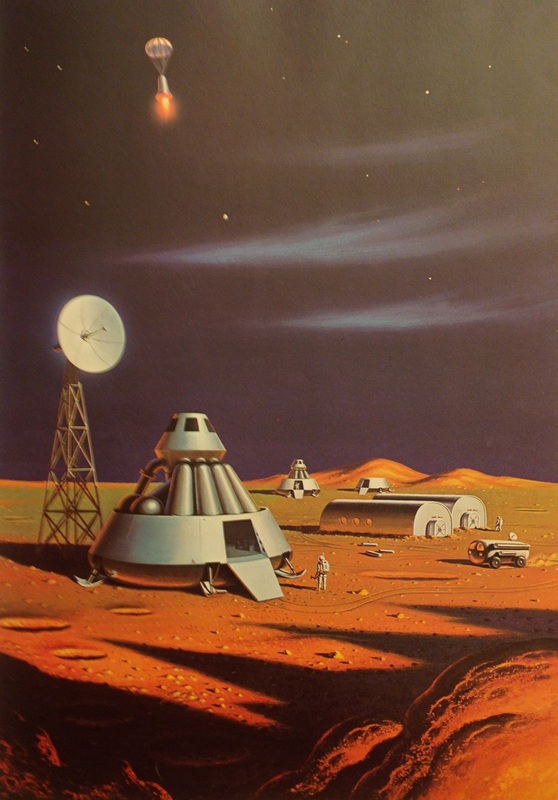 The pièce de résistance was this vision of what the “living-room of the future” would look like. 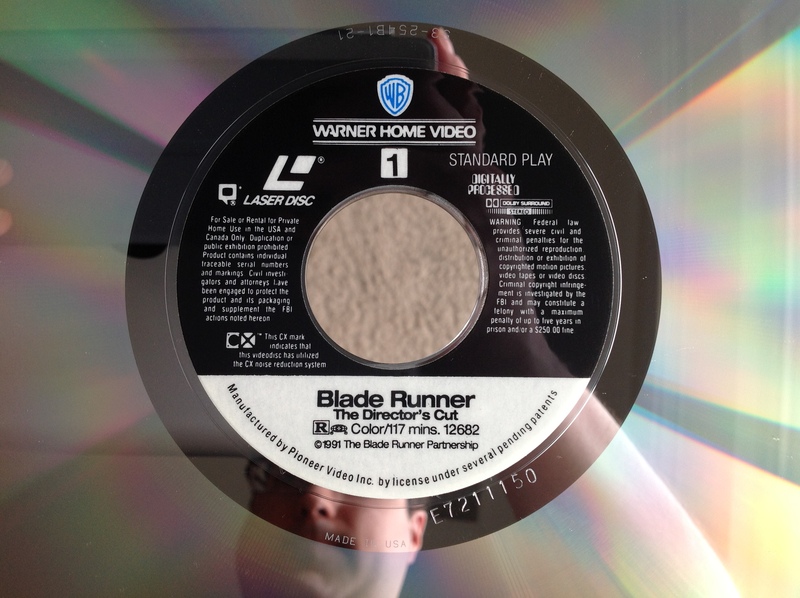 In the future we will all have giant 4:3 flat screen TVs and “omni-disc” players for all sizes of LaserDiscs (though, I have to admit I do have a 40in flats screen and my PS3 does play many things…). So, as I’m standing there in Time Traveler I was thinking about that book. 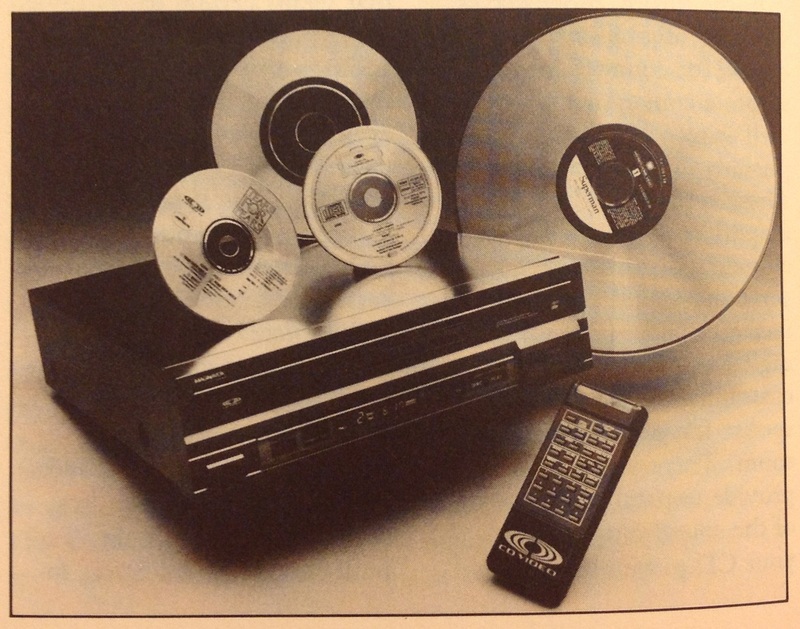 I was thinking how both the Pioneer and the Yamaha both would basically be considered “Omni-Disc” players by the definition of The Compact Disc Book, but that the Yamaha was actually emblazoned with the CD-Video logo, was actually from the 1980s, and was $20 cheaper. So I bought the Yamaha. Unfortunately I also violated the cardinal rule of buying used electronics: Always try the thing in the store. 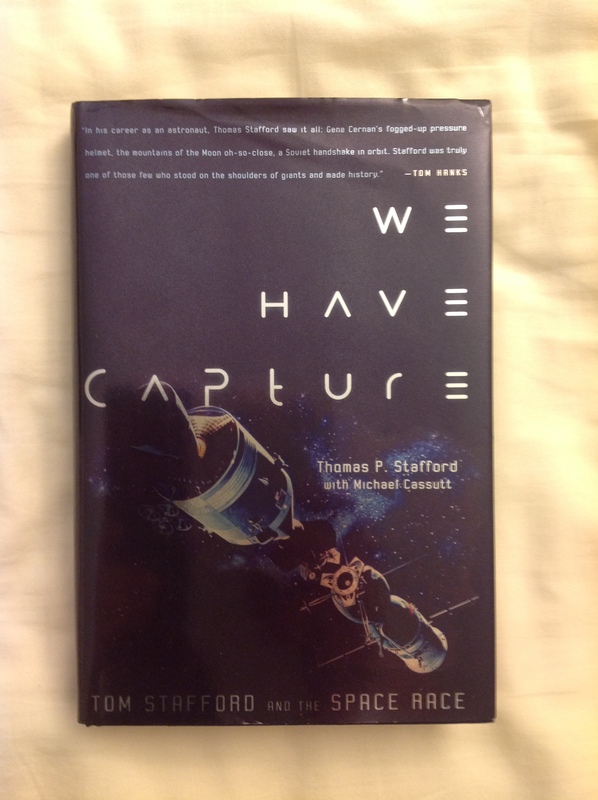 I was so enamored with having one of the players that the book was talking about that I didn’t bother to test it in the store. 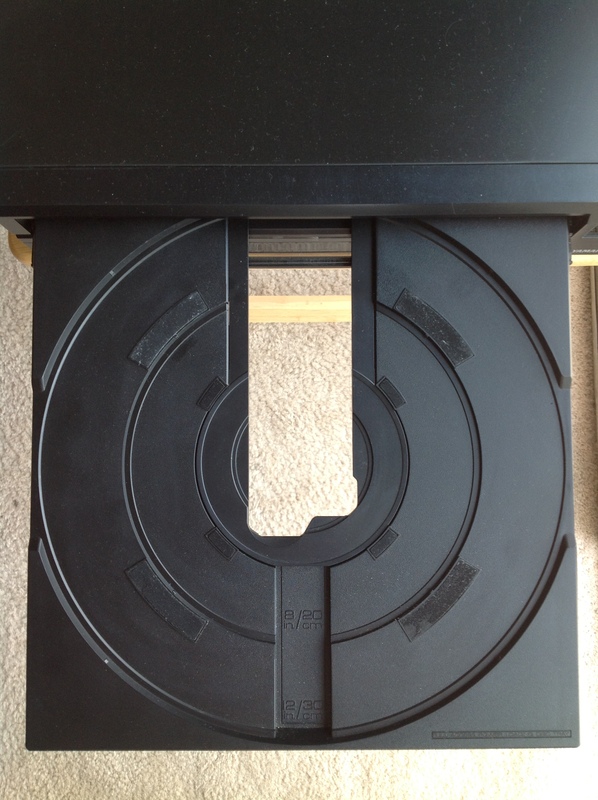 When we got it home we discovered that, much like the Realistic CD-1000, the belt responsible for opening and closing the drawer were totally shot as well as the belt responsible for moving the laser assembly. My Dad offered to try to fix the CDV-1100, like he had the Realistic CD-1000, but that he wouldn’t have the time to do it for several weeks. 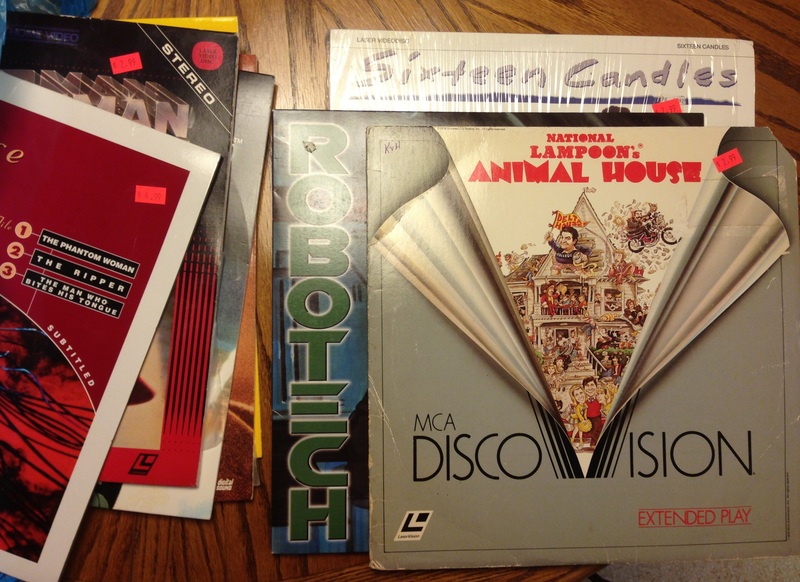 So, while I waited, I kind of went nuts on eBay. 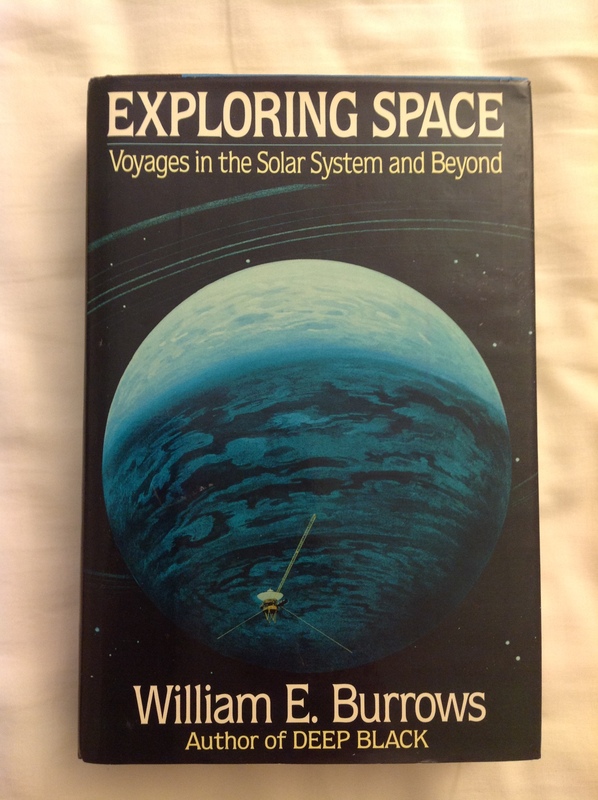 I started looking for a gold CD-V disc, like the book had described. 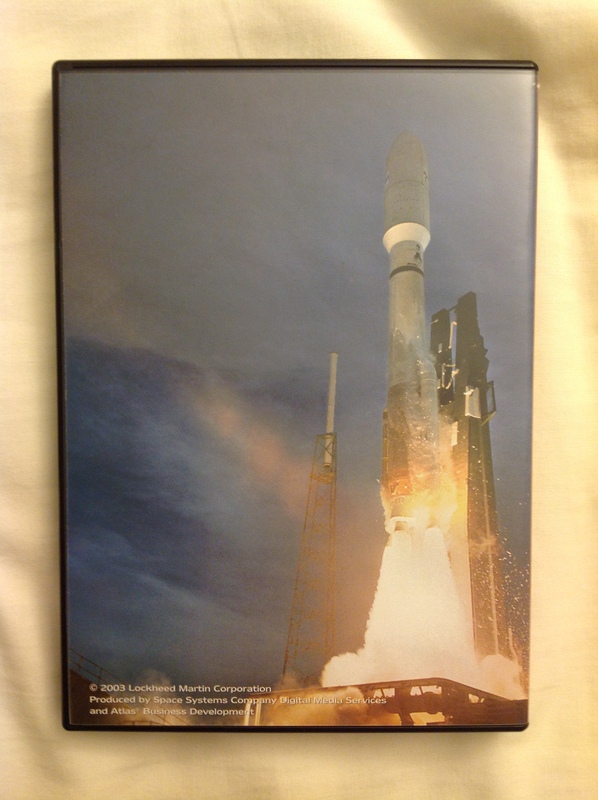 It seems that people collect these now and many of them go for $30 and up. That was a little too rich for my blood, especially since I didn’t know if the Yamaha player I would need to play them worked. 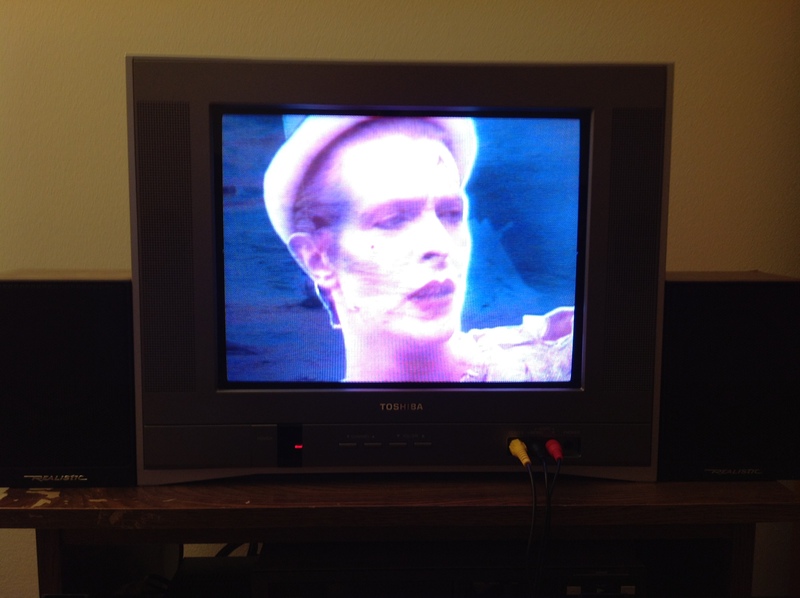 Fortunately, I found the CD-V disc from David Bowie’s Sound and Vision boxed set with the Ashes to Ashes video on it for a more reasonable price. I finally had a gold disc in my hands. 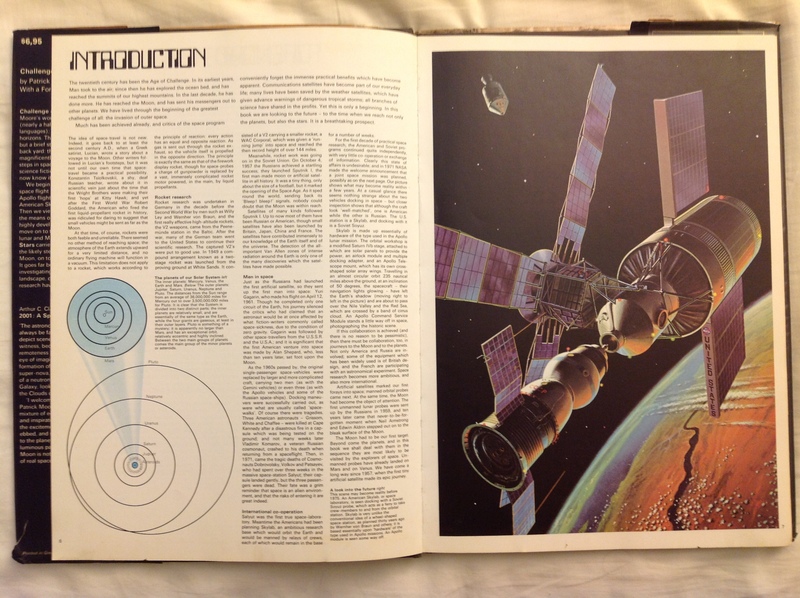 And, as the book said, there is an inner groove with CD Audio on it and an outer groove with LaserDisc video on it. 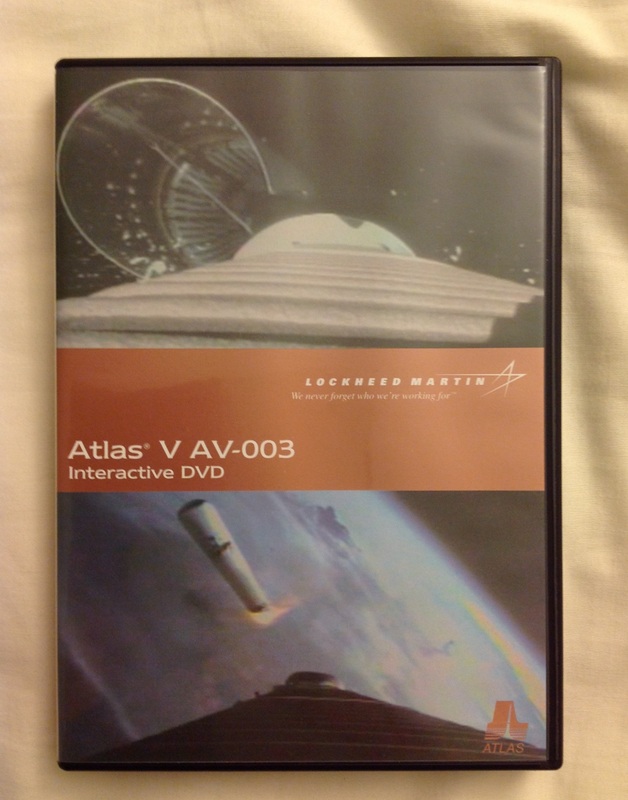 While searching for CD-V discs, by chance, I stumbled upon the remote for the CDV-1100 I was missing! 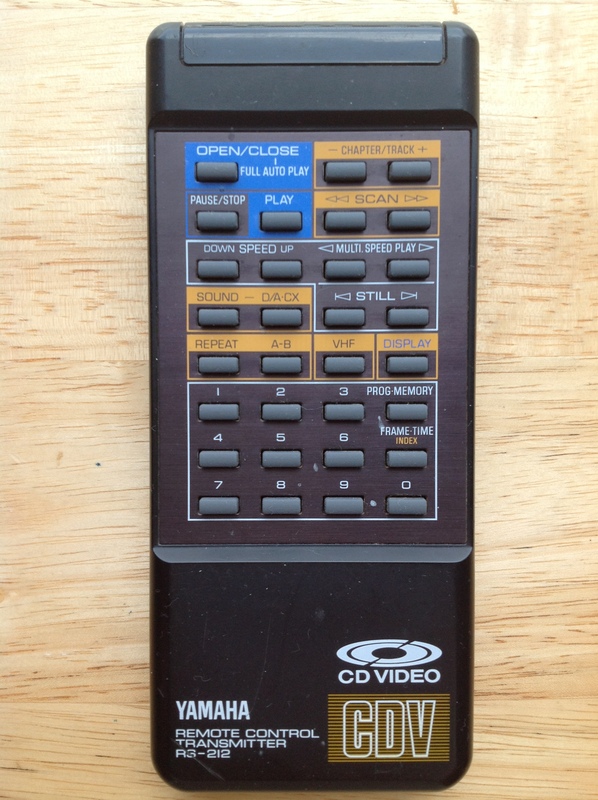 Like the player itself, this remote was emblazoned with the CD-Video logo. 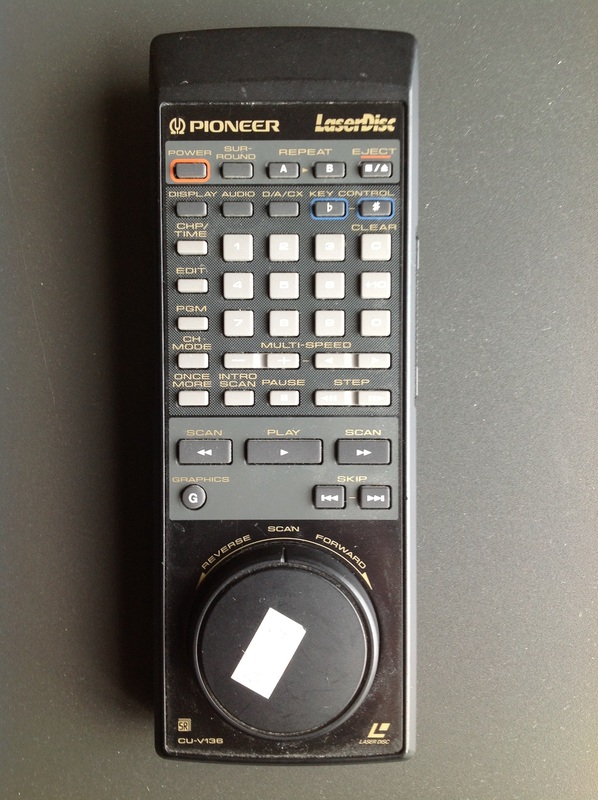 It resembles the remote for my DSP-1 in shape and layout. Where the DSP-1’s remote has “DSP” in it’s bottom right-hand corner, this remote has “CDV”, which is really nice symmetry across the product lines. 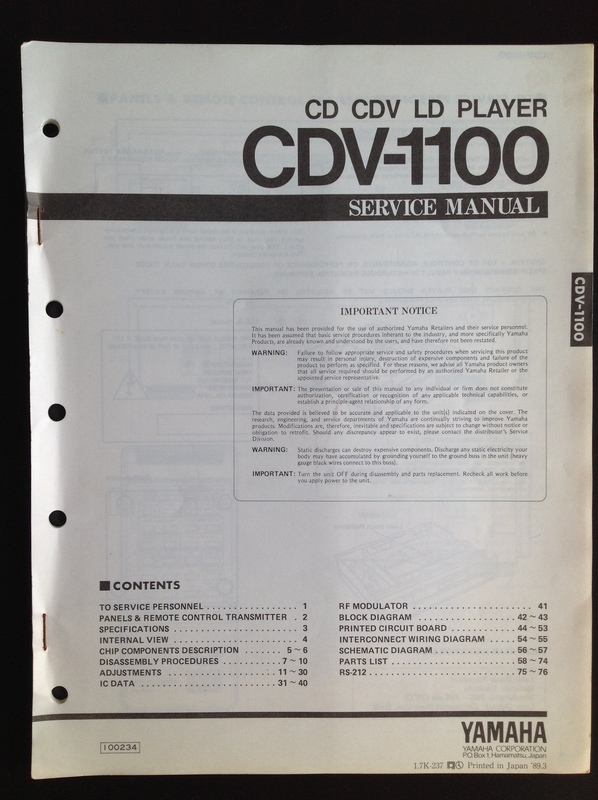 Next, I found the service manual for the CDV-1100. 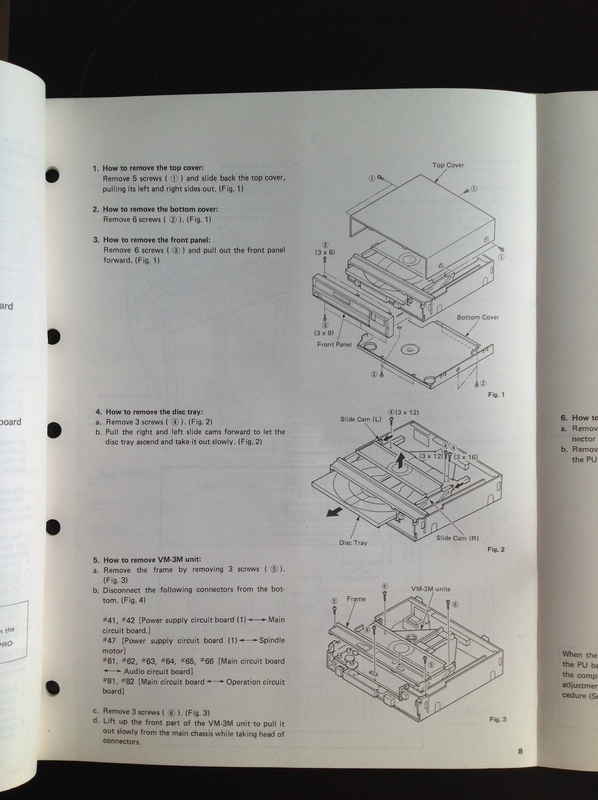 The service manual is very, very cool. 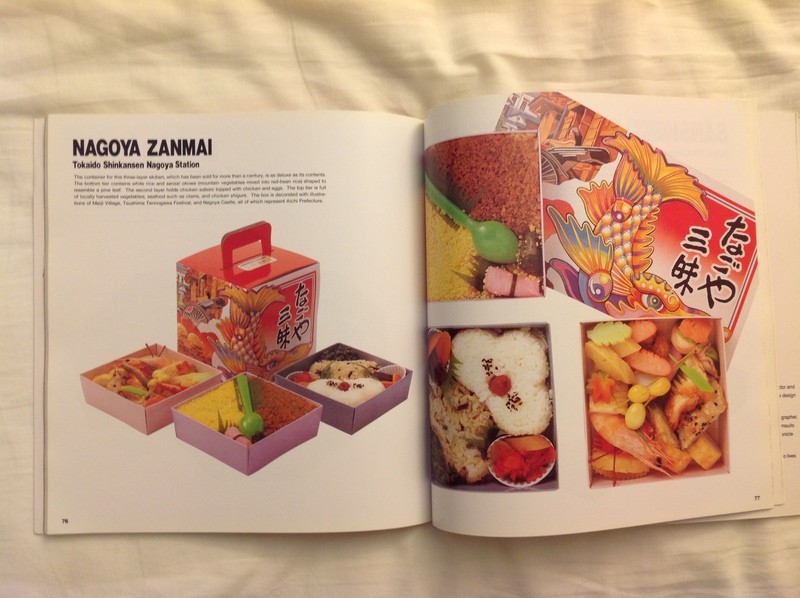 It has the stuff you would expect, like a labeled internal diagram of all of the player’s guts and disassembly instructions. 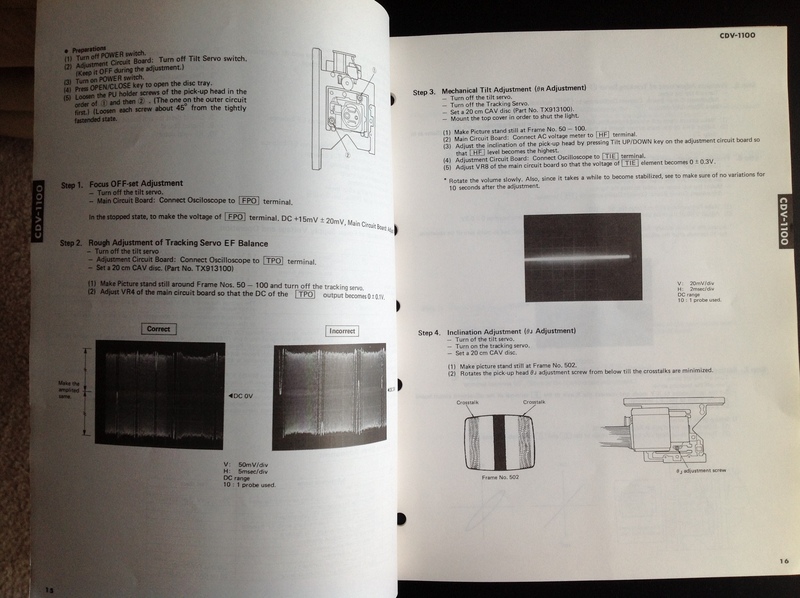 But it also has instructions for a technician to calibrate the player with an oscilloscope. 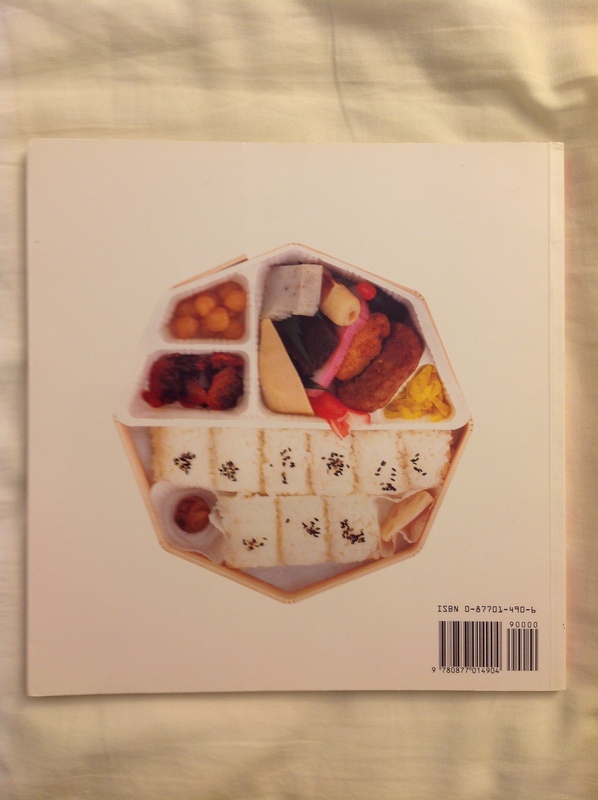 Finally in order to refresh my old memories, I bought the copy of The Compact Disc Book I was showing you from AbeBooks.com. Someone must have used the original receipt as a bookmark, because it was sitting inside the book! 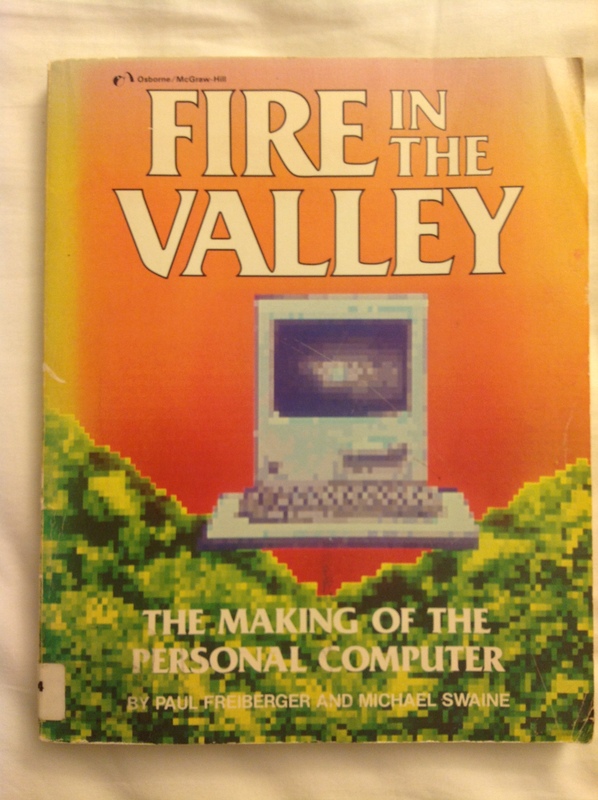 It looks like the book was purchased at Tower Books on 1/22/89! I love it when things have the original receipt with them. Meanwhile, my dad replaced the belts on the CDV-1100, which involved trips to two electronics parts shops in the Akron area because places don’t stock old belts like the used to. What he found after he put everything back together was while the player works, and plays discs beautifully, it sometimes has trouble detecting that a disc is in the machine. There are lights on the front of the machine that indicate what type of disc is in the machine. 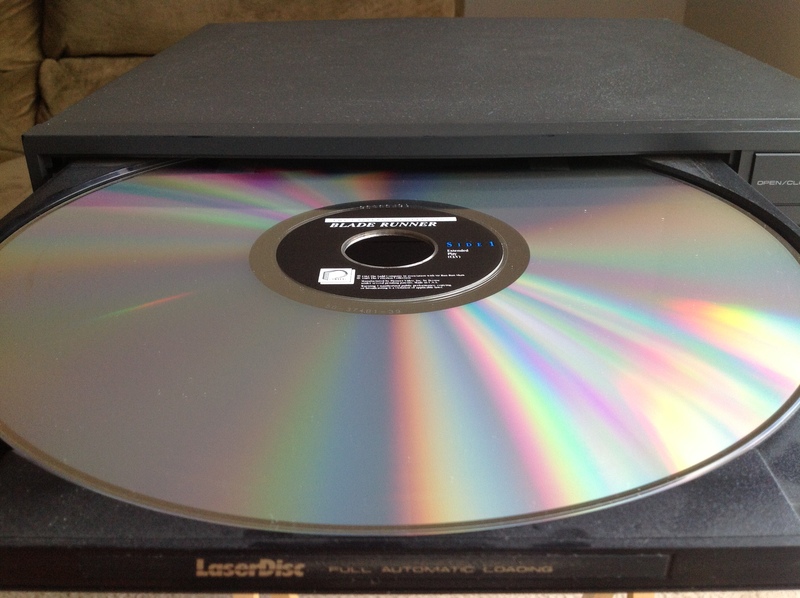 Sometimes when you put a full-sized LaserDisc in, it refuses to see the disc. 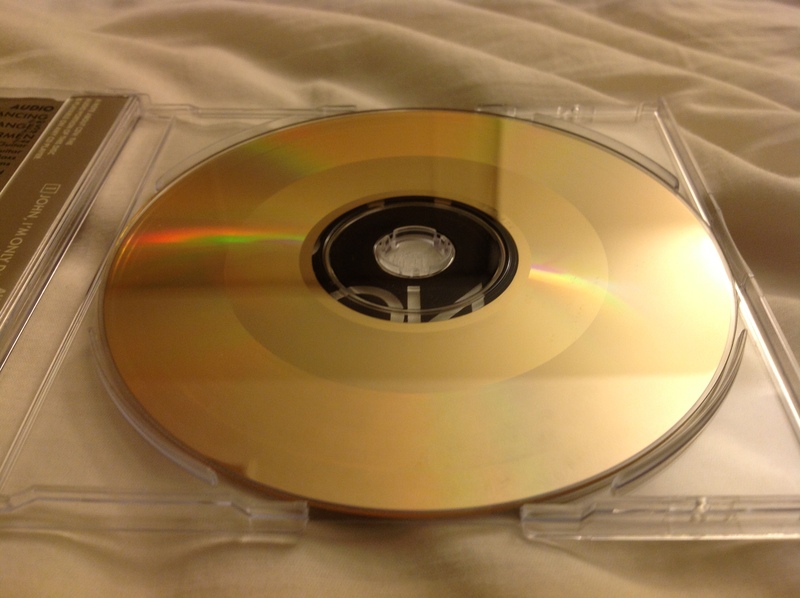 You can tell that it first checks for a 12in disc. 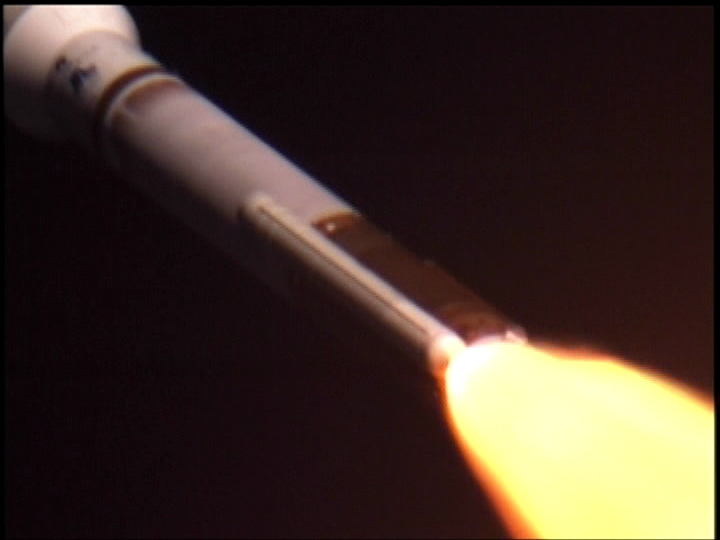 If it finds it, the LD light lights up. 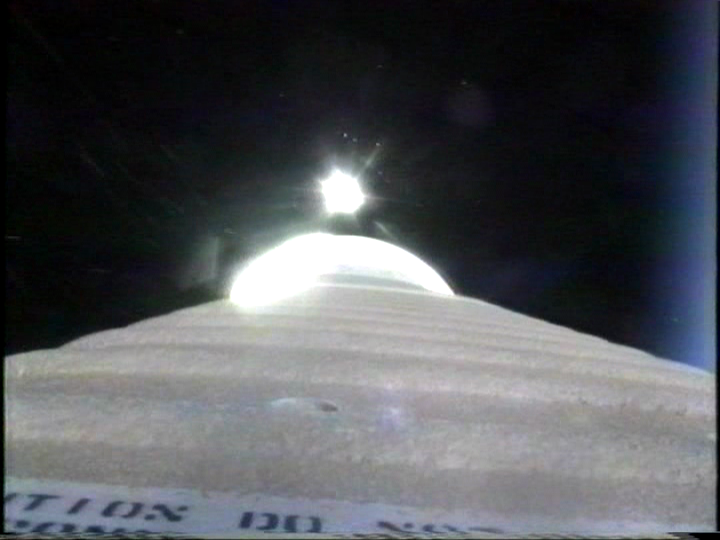 If it doesn’t find it, there’s a click and then it starts looking for a smaller 5.25in disc. If it doesn’t find that either there’s another click and the player just sits there. 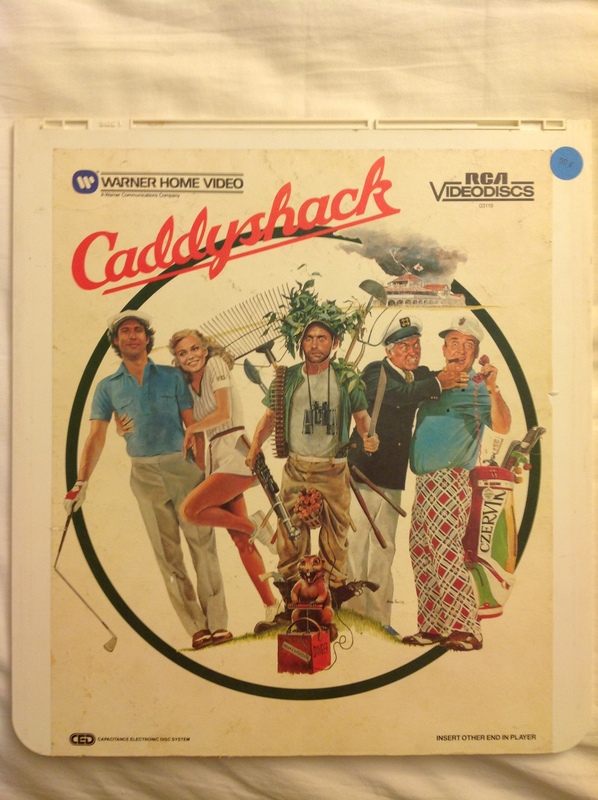 Sporadically, you put in a 12in disc, get the two clicks, and the player refuses to play. Oddly enough, I have found that if you turn on the player and put in a 5.25in disc, it’s detected almost all of the time. If you then take out the 5.25in disc and put in a 12in disc, there is a far greater chance of it being detected. 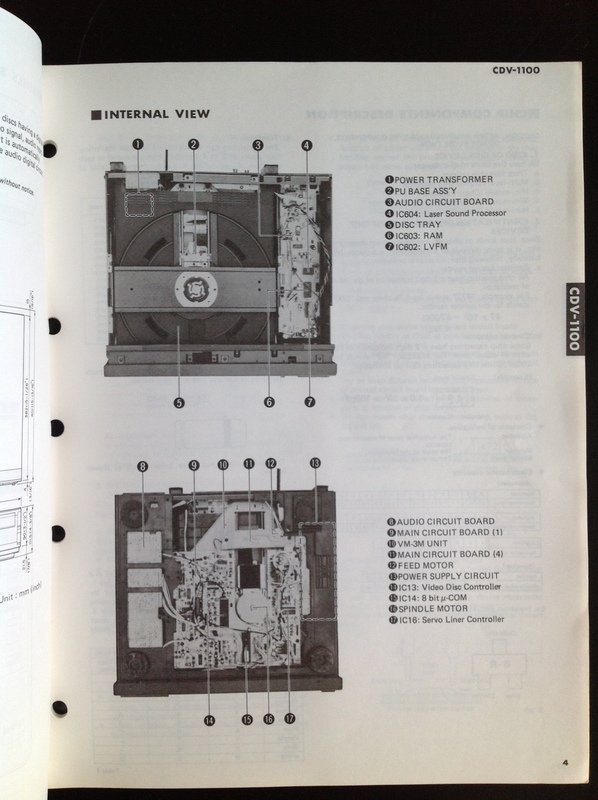 The service manual unfortunately doesn’t give any details as to how the disc detection process works. 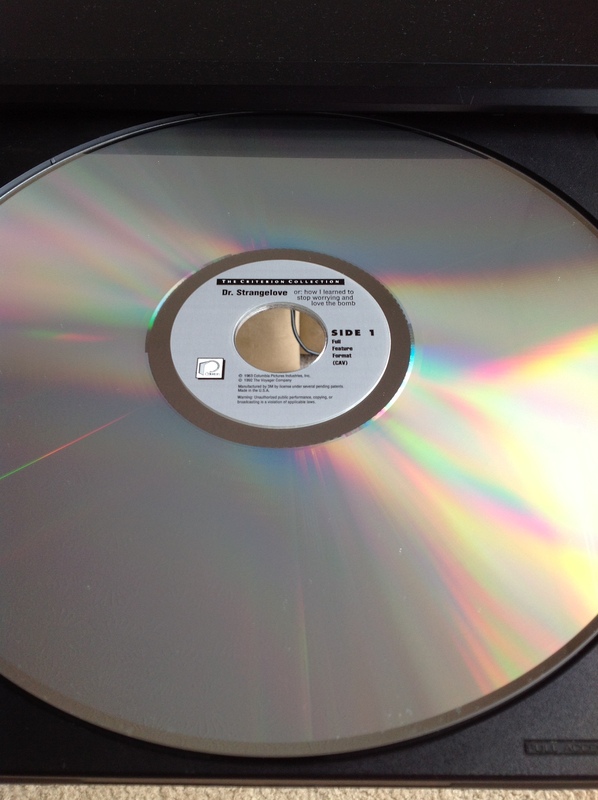 I have a feeling there’s some mechanical device that detects the disc size so that the player knows how to deal with the different size spindle holes between 3in/5.25in CD disc and 8in/12in LaserDiscs. 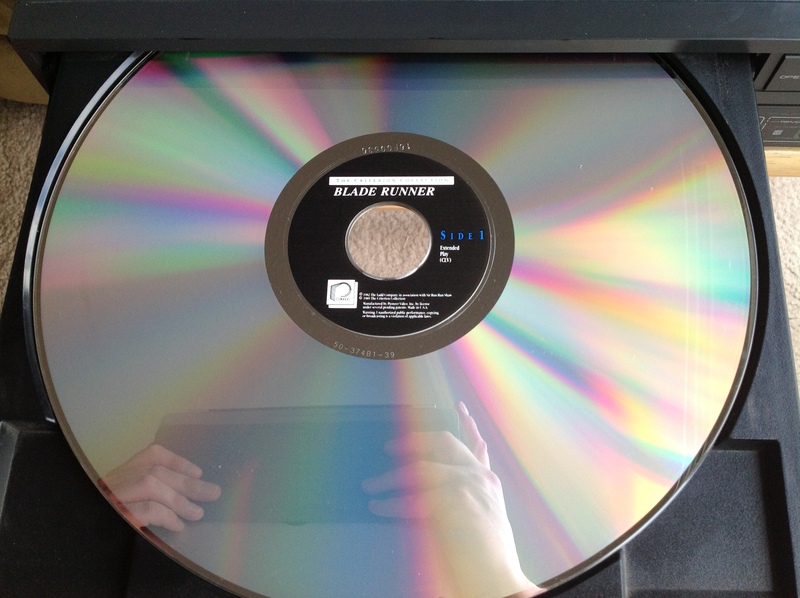 The good news is that if the player detects the disc then it plays beautifully. 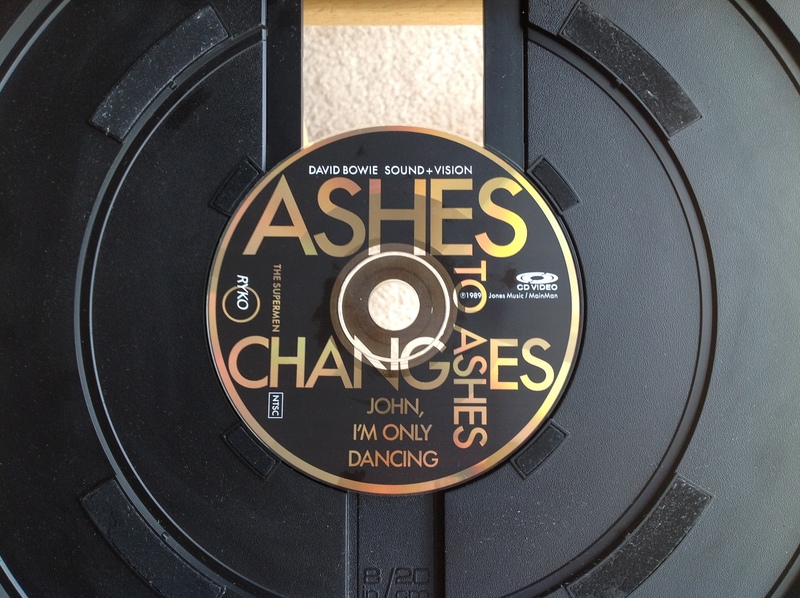 Here’s the Ashes to Ashes video on that Bowie CD-Video disc. 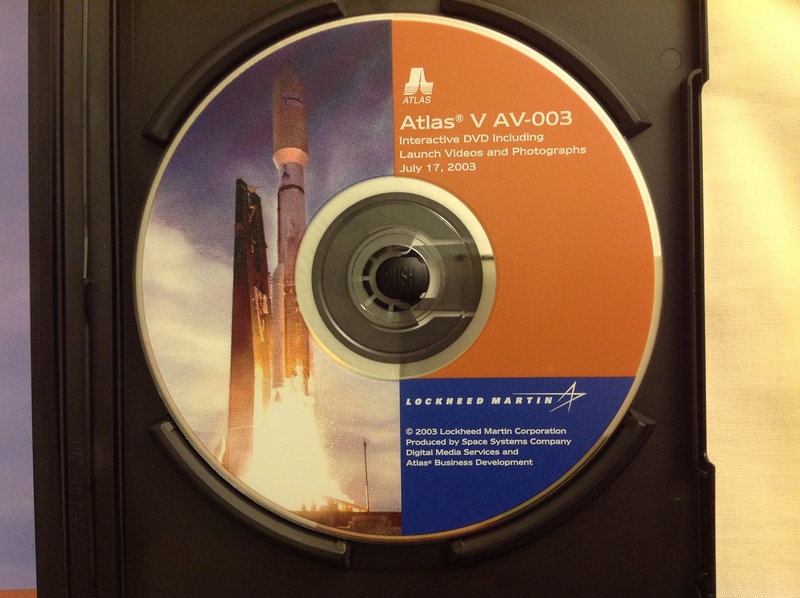 One of the neat features of the CDV-1100 are the different on-screen displays you get depending on what type of disc it’s playing. 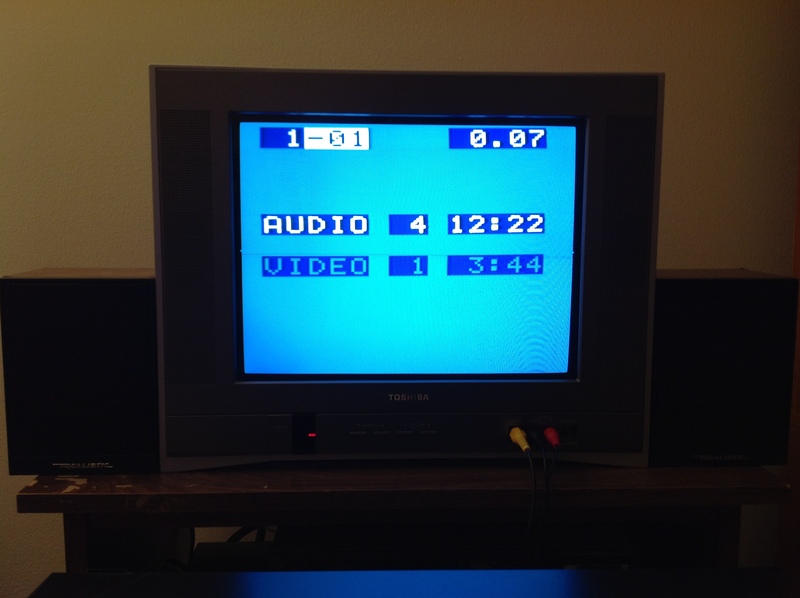 When you turn the player on, you get this lovely, oh-so 1980s white text on blue background title screen. 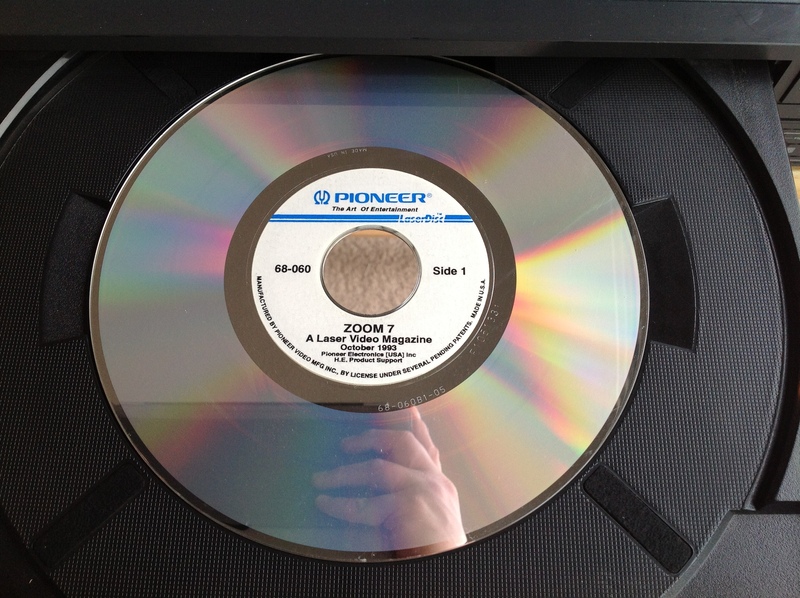 If you put in a disc with CD Audio on it, such as a 3in CD Single, a normal CD, or a CD-Video disc, you get this screen that shows you how many tracks of audio and video the disc has and the total time. 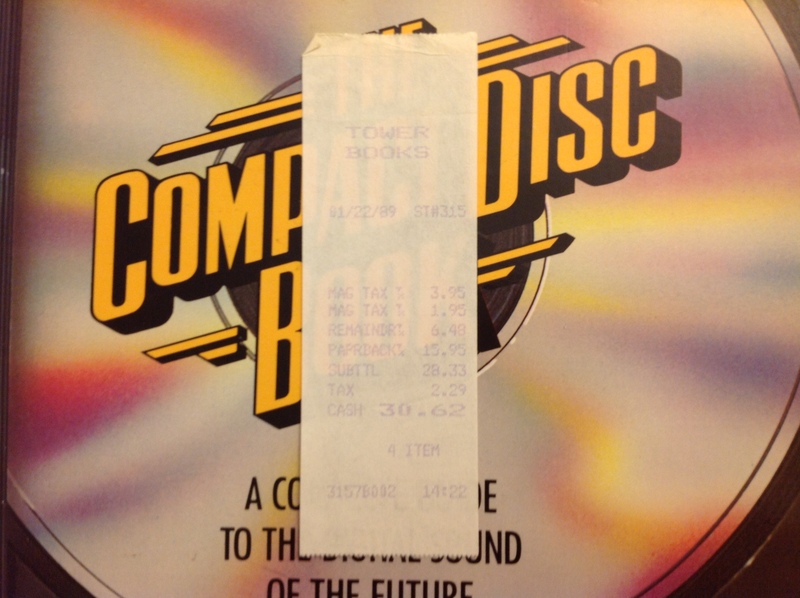 While playing a CD the information about track time and track number you would usually get from a display on the player instead is shown on-screen. 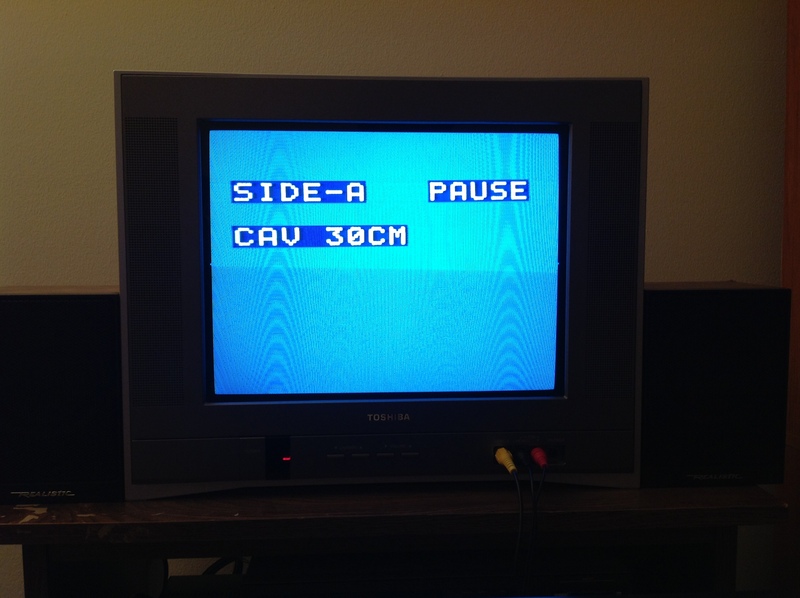 If you put in a LaserDisc, you get a screen that tells you the disc size, format (CAV or CLV), and which side you have in the player. 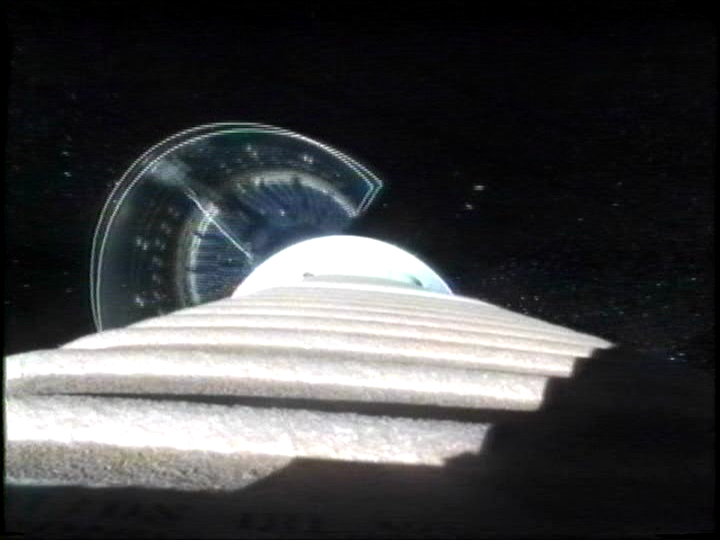 We’re spoiled in the post-DVD world of elaborate on-screen menus but considering the primitive state of on-screen graphics in those days, this must have been very impressive in 1989. 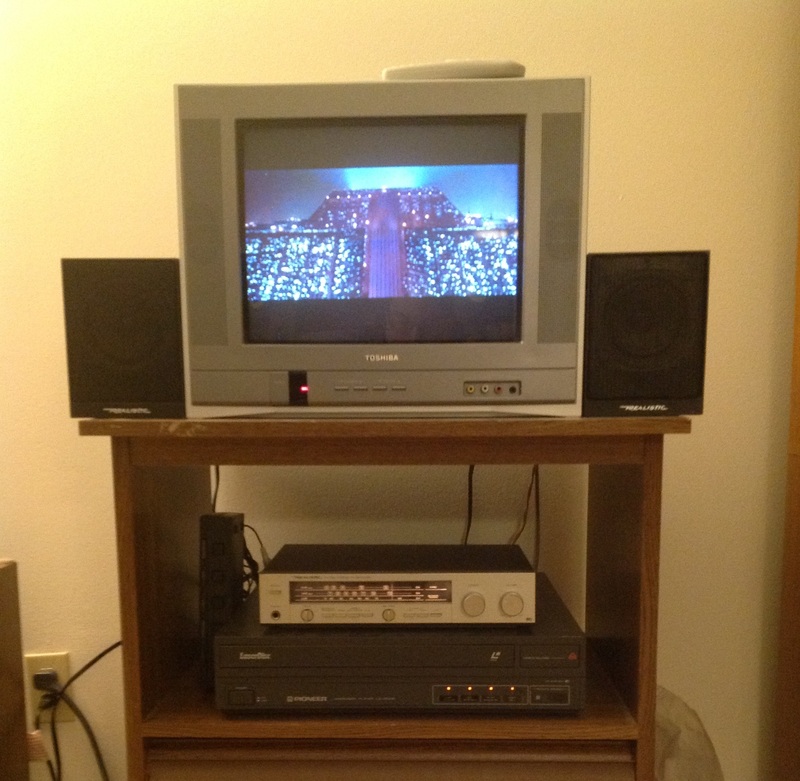 When it’s working, this is a very cool piece of late-1980s home entertainment equipment. Like the Compact Disc Book promised this is an “omni-disc” player that basically played every type of Compact Disc/LaserDisc they sold in 1989. 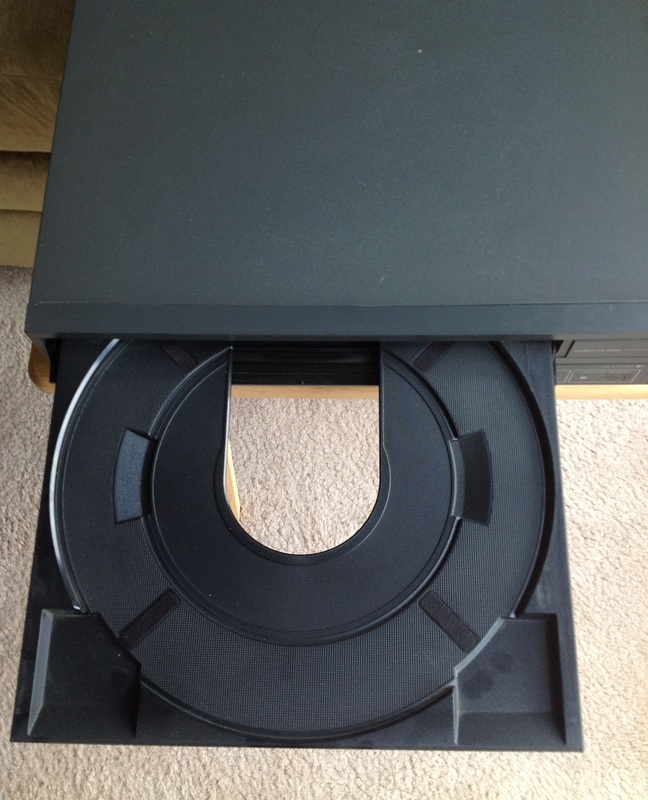 The tray has indentations for 3in CD Singles, normal 5.25in CDs and CD-Video discs, 8in/20cm LaserDiscs, and full-sized 12in/30cm LaserDiscs. 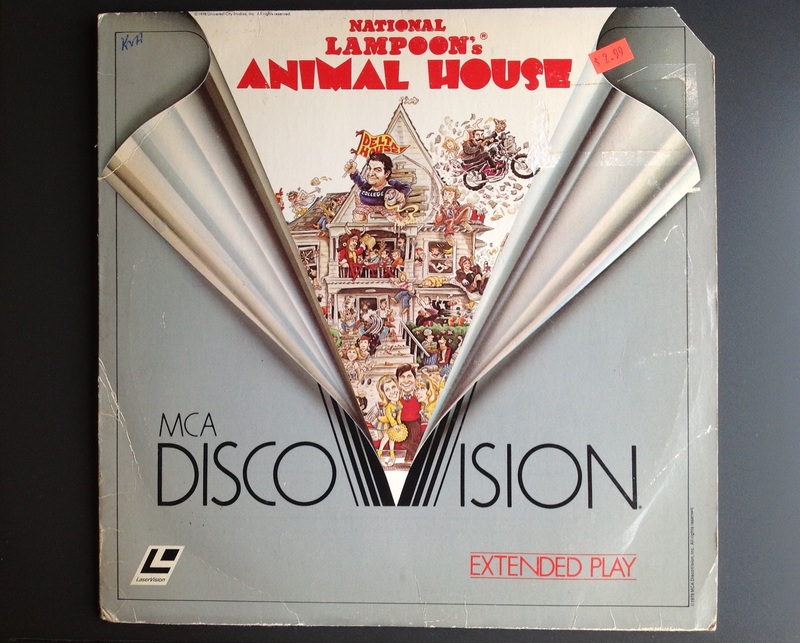 The player can play both the digital audio and analog audio tracks on LaserDiscs. 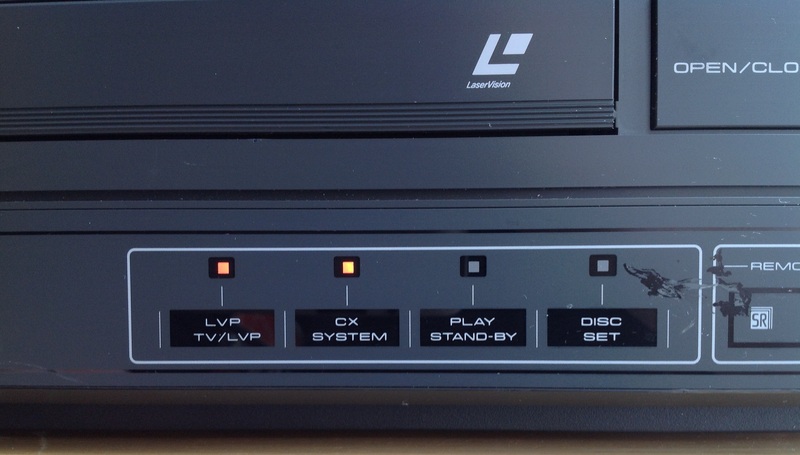 I would love to be able to use this player as my “daily driver” LaserDisc player, replacing the LD-V2000, but I’m not sure about the reliability. 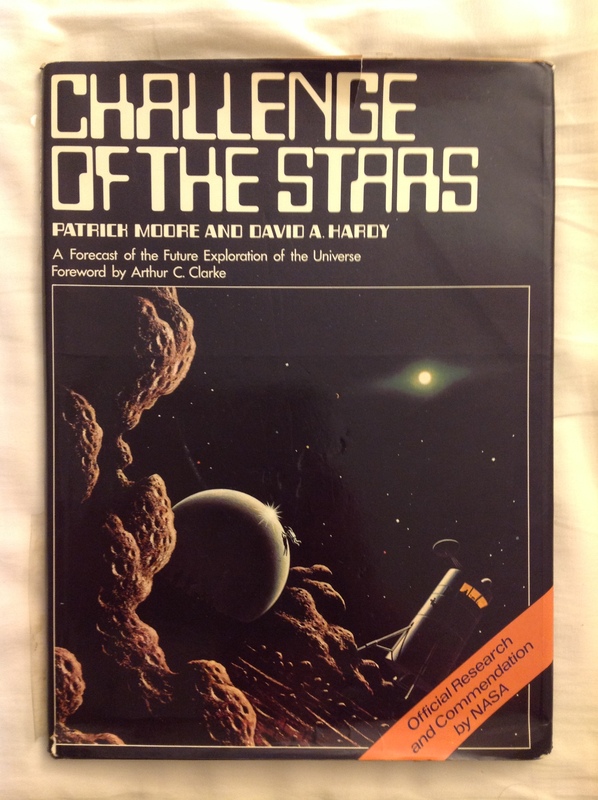 Even so, I’m very glad I bought it since I now have a player that was a part of the promised future laid out out in The Compact Disc Book.